Welcome to The Bishopstrow Hotel and Spa. 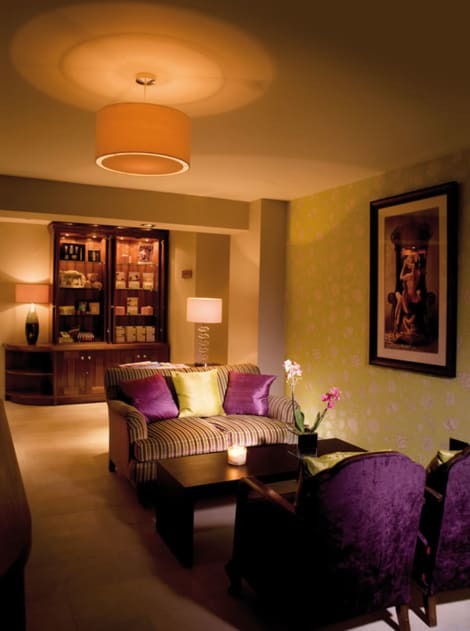 Without doubt one of the finest, luxury hotels in Wiltshire. Perfectly located within easy reach of several great destinations only 6 miles from the famed Longleat Safari and Adventure Park and an approx. 35 minutes drive from the historical town of Bath. Stay in one of 15 guestrooms featuring flat-screen televisions. Complimentary wireless Internet access is available to keep you connected. Bathrooms have shower/tub combinations and hair dryers. Housekeeping is provided daily, and irons/ironing boards can be requested. Situated beneath the chalk downland, with its abundant plant life, Warminster lies on the edge of the Cranborne Chase and West Wiltshire Downs Area of Outstanding Natural Beauty within Wiltshire. The town boasts many historic attractions as well as a nearby lake, nature trails, meadows and grassy marshlands, which provide opportunities for cycling, walking and water sports. Warminster is lucky enough to be the nearest town to Longleat Safari and Adventure Park, where the opportunities to view, meet and learn about exotic animals are almost boundless. At the UK's Number One and first-ever safari park, you can feed giraffes by hand, get up close with many of Africa and Asia's majestic animals and much more. Experience over 450 years of history at Longleat House, where you can hear ghostly tales of the Grey Lady, marvel at priceless antiques and walk in the grounds created by the renowned Capability Brown. Some of the other Longleat attractions are Penguin Island and Stingray Bay, BBC Deadly Adventure, the Deadly Challenge, the Deadly Safari, the Adventure Park, the Gorilla Colony, Monkey Temple and much, much more. Always wanted to skydive? Well now's your chance at GoSkydive, the UK's premier tandem skydiving centre about a 30-minute drive away, where you can take in some amazing views on your way up and down. Or how about trying a hot air balloon trip? Aerosaurus Balloons take off from the Larmer Tree Gardens, about a 45-minute drive away, for a spectacular once-in-a-lifetime trip over the West Wiltshire Downs. Just half an hour's drive away stands the prehistoric site of Stonehenge, a World Heritage Site. Stonehenge's orientation on the rising and setting sun has always been pondered. Whether it was because the creators came from a sun-worshipping culture, or because the work was part of a huge astronomical calendar, still remains a mystery. Try the family-run Snooty Fox in Warminster. They use fresh ingredients, most of their menu is gluten free and they are happy to accommodate all dietary needs. You can dine anywhere, including the restaurant, bar, large garden or in the lounge area in front of an open log fire on cold days. You can enjoy a well-stocked bar with a wine list to suit all tastes. Or you could try the Weymouth Arms Restaurant and Guest House for exquisite food, great value for money and fresh local produce. Popular with the Warminster locals, this beautiful inn provides a warm and welcoming atmosphere, where you can enjoy a seasonal, unpretentious menu. There are a variety of Warminster hotels on offer, whatever your budget may be, so don't delay, book your trip today!